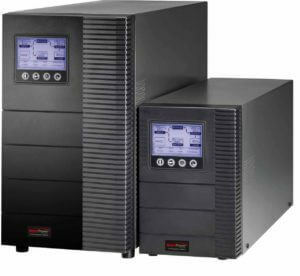 Smart Power offers a variety of uninterruptible power supplies to protect your equipment from power outages as well as surges, noise and other power issues. 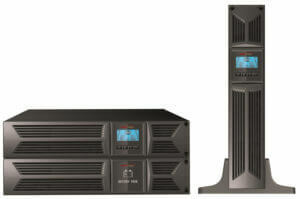 Our Office TBF, Venus 2nd Gen, SBP, DSS Series UPS and SDC Series products offer unmatched protection. 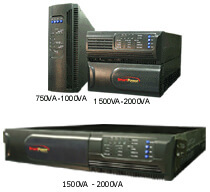 The Office-TBF UPS provides multi-device power protection for computers, peripherals, internet and multimedia. Now available with power conditioner TBF. Line interactive units incorporate an automatic voltage regulator (AVR). An AVR allows the UPS to boost or buck the incoming line voltage without switching to battery power. This allows the UPS to correct most long term over-voltages or more common under-voltages without draining the batteries. Another advantage is that it reduces the number of transfers to battery which extends the life of batteries. The new Venus 2nd Gen provides emergency power in case of power outage and fully protects your system from spikes and surges. 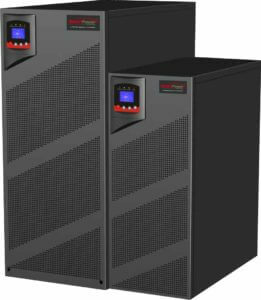 The SBP-TBF UPS series eliminates line noise and provides battery back-up, surge protection, and automatic voltage regulation functionality. In order to make a sine wave we have to use a Pulse-Width Modulated Inverter. A PWM Inverter will put out a sine wave with some distortion, but very little in comparison to the other type of modified sine waves. The benefits of Pure Sine Wave output are less stress on components, less noise, cleaner power and better long-term performance while operating on battery power. Online power protection UPS with pure sinewave output and communication port for computers, servers, retail/POS systems, telecom, LAN and peripherals. High power density, pure sinewave, line interactive, rack/tower with transformer-based filter (TBF™) technology. The SDC Tower On-Line UPS offers high-density, true double-conversion on-line power protection for servers, voice / data networks, medical labs, and light industrial applications. It provides protection from blackouts, brownouts, voltage fluctuations, surges, harmonic distortion and other troublesome power problems. The SDC Tower 6-20KVA On-Line UPS offers high-performance, true double-conversion on-line power protection for critical network applications at corporate servers, banking institutions, medical facilities, and industrial complexes. The tower design comes with an LCD touch-screen display that provides unmatched access for UPS monitoring and control. Convenient features, such as manual bypass switch and hot-swappable batteries, make this UPS ideal for advanced networking applications.